'one' company showcasing a sustainable future. 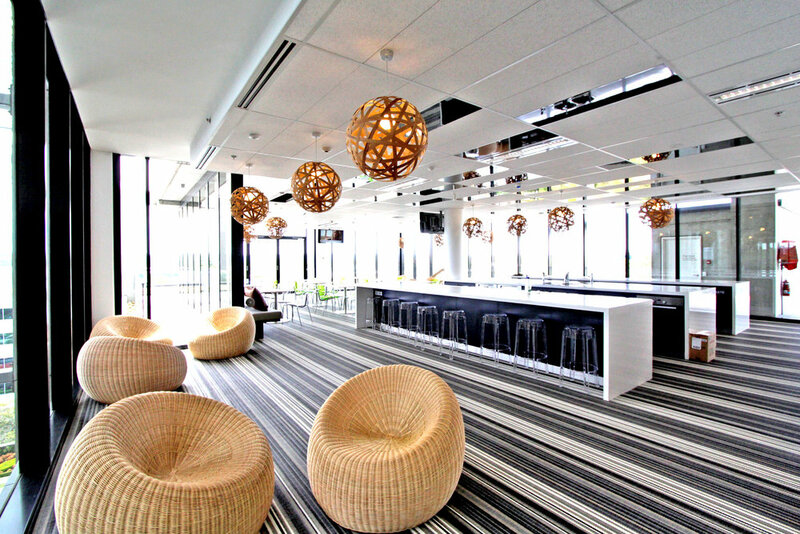 Schneider Electric worked with FutureSpace to assist them with relocating their team from 9 locations across Sydney to one centralised 9,600m2 workplace. Key goals for the project included the delivery of a 5 star Green Star targeted project, underscoring Schneider Electric’s commitment to a sustainable future. The ground floor consists of a large hospitality and exhibition area that also contains state of the art reception, display, training and meeting facilities. The fit-out is spread across 6 floors and is designed to support teamwork and collaboration across a number of diverse business units. The working floors are predominantly open plan, supported by a number of small offices and a variety of meeting settings, both open and enclosed. The large team café and breakout appears to float in mid air as it sits to one side of the buildings central glazed atrium. The design concept is aligned with Schneider’s core business and is based on an overarching theme of Energy – that of Earth, Fire, Wind and Water. This theme also works to enhance the ‘One Schneider’ identity that was a key deliverable of this co-location project. 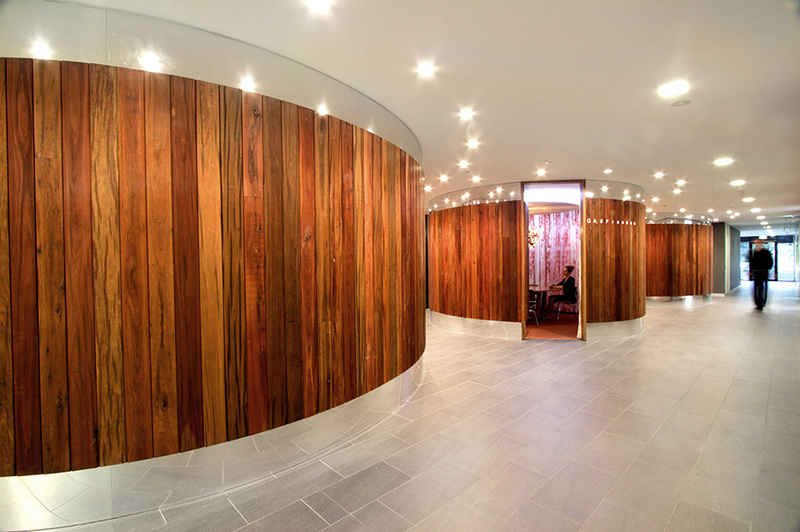 Following the successful completion of the Sydney project FutureSpace have undertaken the design of Perth and Melbourne offices for Schneider Electric.